Stephen is a Partner at Burr & Forman LLP where he serves on the firm's Executive Committee. He is a member of the Labor & Employment and Commercial Litigation Practice Groups. Stephen’s practice focuses primarily on employment law and litigation. His practice also focuses on business and intellectual property litigation. He frequently defends employers against claims for alleged employment discrimination, retaliatory discharge, and wage and hour violations. He also handles non-compete and trade secret disputes, as well as other “business divorces.” Stephen has extensive experience defending against class and collective actions. He also has substantial trial and arbitration experience, including several multi-week trials. Stephen counsels employers in all aspects of employee relations, including advising on employee terminations, planning reductions in force, preparing employee policies and handbooks, and drafting employment and separation agreements. He also conducts internal investigations of employment-related claims, as well as wage and hour audits. Stephen has been on the Best Lawyers in America listing for Employment Law -Management and Labor & Employment Litigation since 2013. He also was named by the Nashville Business Journal as the “Best of the Bar” in 2010, 2015 and 2016. In addition, he was honored as a Mid-South “Super Lawyer” for Business Litigation in 2016. 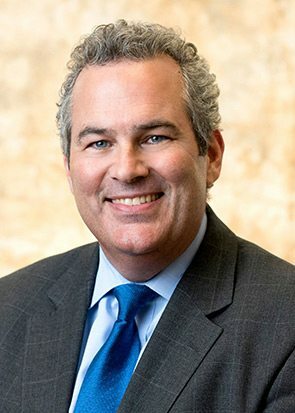 Before moving to Nashville in 1990 to begin his law practice, Stephen worked as a law clerk for the Honorable Will Garwood of the U.S. Court of Appeals for the Fifth Circuit in Austin, Texas. Stephen, whose youngest daughter has type 1 diabetes, is on the Board of Directors of the Juvenile Diabetes Research Foundation, Middle Tennessee Chapter. He was co-chair of the JDRF’s 2011 Promise Gala in Nashville, which raised over $500,000 to help find a cure for diabetes. Stephen has served on the Nashville Downtown Partnership Board since 2013. He also has served on the Tennessee Chamber of Commerce’s Human Resources Committee since 2014. Stephen is a member of Covenant Presbyterian Church in Nashville, where he has served as a deacon, as well as a church choir member. When he’s not busy at work or having fun with his children, Stephen is an avid tennis player. He also enjoys hiking, as well as occasional cycling.